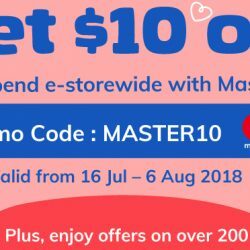 Till 6 Aug 2018 NTUC FairPrice: Get $10 OFF with MasterCard when You Shop Online! Shop for your groceries online at NTUC FairPrice and get $10 off when you pay with MasterCard! Valid from 16 July to 6 August 2018 with minimum spend of $100 e-storewide. Plus enjoy offers on over 200 health & beauty brands! 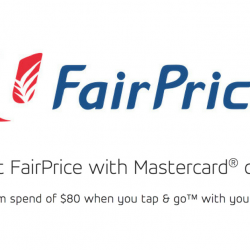 Pay less at FairPrice with Mastercard® contactless! 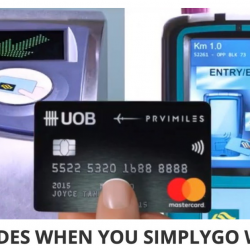 Get $4 off a minumum spend of $80 when you tap & go™ with your Mastercard contactless at FairPrice from now till 15 June 2018. Love going to the movies? 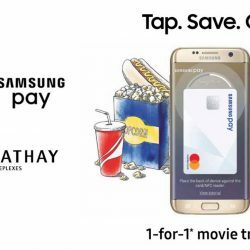 Use your Mastercard at Cathay Cineplexes to save more! 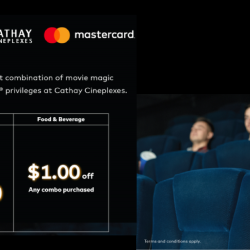 Cathay Cineplexes' exclusive Mastercard promo has been extended till 31 December 2018. Enjoy movie tickets from $8.50 and $1 off food & beverage combo purchased! 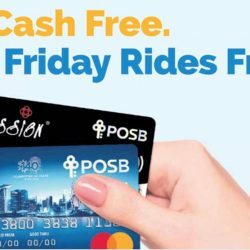 8 May - 2 Jun 2017 DBS/POSB Cards: Go Cash Free & Get Friday Rides Free! Ride with a smile every Friday! Just tap and go™ 2X daily from Monday to Thursday using Mastercard® contactless and enjoy FREE bus/train rides on Fridays from 8 May to 2 June 2017. So hurry, register your contactless POSB/DBS Mastercard Card now for the Account-Based Ticketing pilot programme and tap to enjoy free rides on Fridays! Limited to the first 100,000 customers only. Plus, stand to win free rides2 (worth up to S$80) if you are the top 200 cardmembers each month with the highest number of rides! Want a short holiday to a neighbouring city? Book your getaway now with Mastercard on SilkAir with exclusive all-in return fares from $159 to Penang, Phuket, Boracay, Denpasar (Bali), Darwin & more! Book by 31 March 2017. Start planning for a holiday and enjoy special Singapore Airlines Economy Class fares from $168 exclusively for Mastercard cardholders. 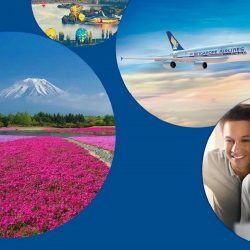 Book by 28 February 2017 for travel between 1 April to 30 June 2017. 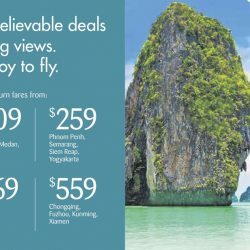 Book by 31 Dec 2016 SilkAir: Exclusive Mastercard All-in Return Fares from $189 to Penang, Phuket, Medan, Phnom Phenh & More! Want a short holiday to a neighbouring city? 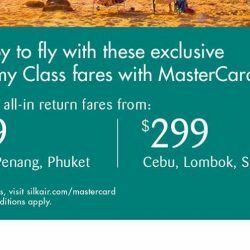 Book your getaway now with Mastercard on SilkAir with exclusive all-in return fares from $189 to Penang, Phuket, Medan, Phnom Phenh & more! Book by 31 December 2016. 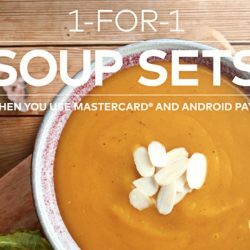 Enjoy wholesome delicious soups at The Soup Spoon with their 1-for-1 Soup Set Promotion! 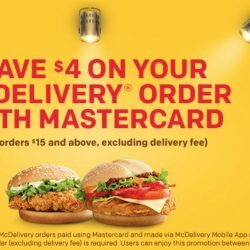 To qualify, you just need to pay with MasterCard and Android Pay! Valid on weekdays only till 31st December 2016 or till fully redeemed. Want a short holiday to a neighbouring city? Book your getaway now with Mastercard on SilkAir with exclusive all-in return fares from $189 to Langkawi, Phuket, Phnom Penh, Xiamen & more! Book by 15 November 2016. 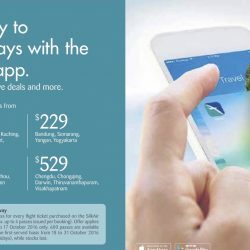 Discover a joy to fly right at your fingertips with SilkAir's exclusive mobile app launch promotion fares. Get a free S.E.A Aquarium pass* for every flight ticket purchased on the SilkAir app using Mastercard. Book by 17 October! 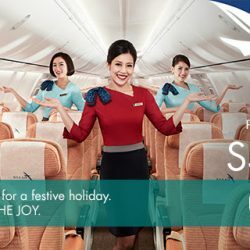 For more details, visit www.silkair.com/mobileappsg. 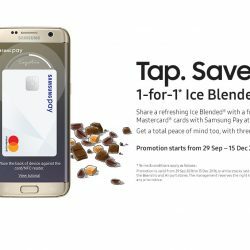 Samsung has announced another 1-for-1 promotion when you use Mastercard cards with Samsung Pay! This time you can enjoy 1-for-1 Ice Blended Drink at The Coffee Bean & Tea Leaf from now till 15 December 2016, while stocks last. Samsung Pay makes grocery shopping easier and more convenient for you. 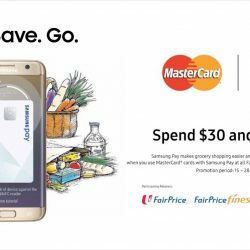 Save more when you use MasterCard cards with Samsung Pay at all FairPrice supermarkets and Warehouse Club stores. Just spend $30 and get $5 off from now till 28 September 2016! 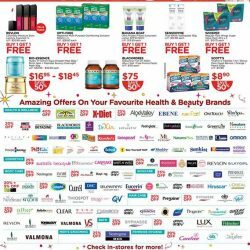 Free $5 Watsons Voucher with min. S$50 nett spend when you Tap & Go with Mastercard. Promtion is valid till 5 October 2016 and while stocks last! Do kindly note that this promotion is not applicable on eStore. 1 - 4 Aug 2016 ZUJI: Flash Sale on Singapore Airlines, Malaysia Airlines & Korean Air Flights to Bangkok, Hong Kong, Seoul, London & more! Planning a holiday at the end of the year? BQ has a great upcoming deal for you, #dontsaybojio! 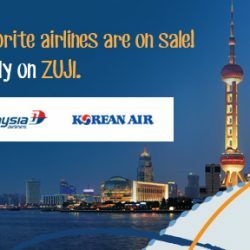 ZUJI will be having a Flash Sale on 3 top airlines - Singapore Airlines, Malaysia Airlines & Korean Air from 1st to 4th August 2016 (Monday to Thursday)! 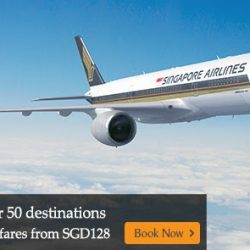 All destinations will be on sale, you can fly to Hong Kong on Singapore Airlines for just $233 or Bangkok for just $217! 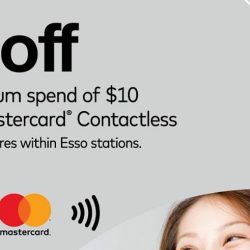 On top of that, you may also enjoy up to $100 flight/package rebate when you pay by MasterCard! Also save on your hotel booking by using the 12% hotel coupon code! With so many savings, you can now shop to your heart's content or eat your money's worth during your holiday! 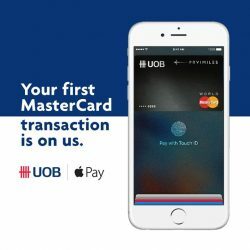 The easy way to pay on UOB MasterCard with Apple Pay. Digitise your UOB MasterCard now and your first MasterCard transaction is on us! Valid for 1st 10,000 transactions of up to S$10, from now till 26 July. T&Cs apply. 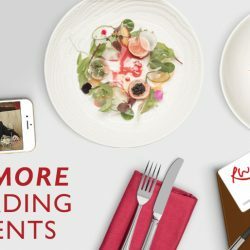 Resorts World Sentosa: Sign up the RWS Invites Silver membership for $150 to enjoy up to 20% rebate + FREE USS tickets & more! Enjoy up to 20% rebate on dining, attractions day passes and a welcome package worth up to $225 (e.g. 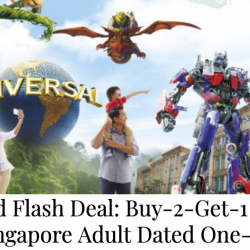 FREE USS tickets, dining vouchers) with RWS Invites Silver membership, the premier loyalty programme from Resorts World Sentosa. Sign up now as a member with your MasterCard before 31 July 2016 and receive Invites$15 instant credit. 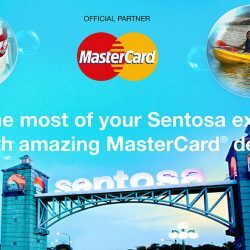 Till 14 Aug 2016 Sentosa: 1-for-1 offers for MasterCard® and more! Use your MasterCard® card to enjoy up to 20% off and 1-for-1 offers at all participating outlets in Sentosa. Get exclusive discounts on dinner, attractions, hotel packages and more when you pay with your MasterCard® card! Promotions are valid from 1 June - 14 August 2016. 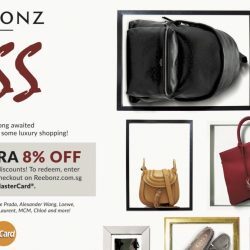 Kickstart the long awaited Great Singapore Sale with some luxury shopping at Reebonz! Enjoy extra 8% off on top of ongoing storewide discounts with MasterCard! Get authentic luxury brand products from Prada, Alexander Wang, Loewe, Balenciaga, Givenchy, Fendi, Saint Laurent, MCM, Chloe and more. You can also head down to THE GREATEST REEBONZ SALE happening from 8 to 11 June 2016 at Reebonz SPACE! Storewide up to 70% OFF + additional discounts up to 7% off, exclusively for Citi Cardmembers! RSVP now for a $100 voucher and to stand to win an additional $200 CASH voucher too! See you there! Want a short holiday to a neighbouring city? 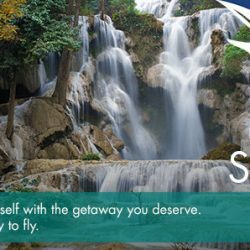 Check out SilkAir's GSS Getaway Soon Sale from now till 12 June 2016 for great savings now! Exclusively for MasterCard users.